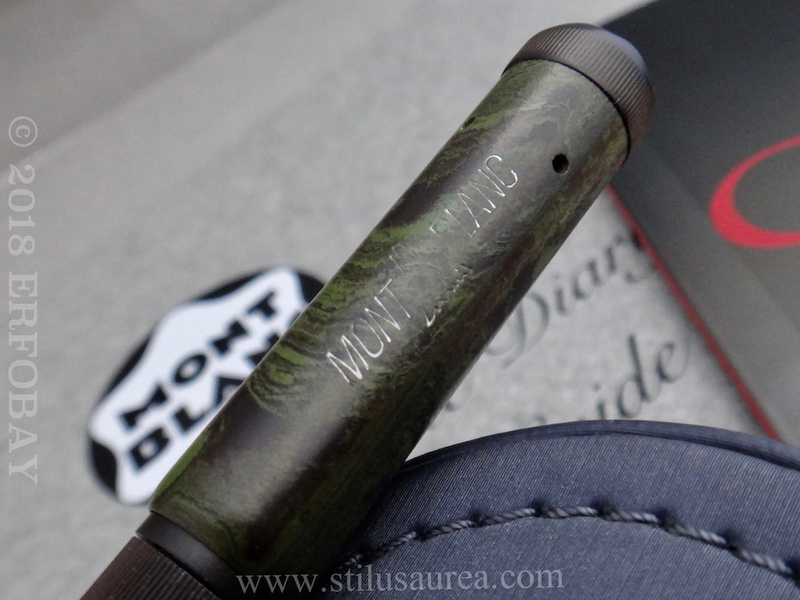 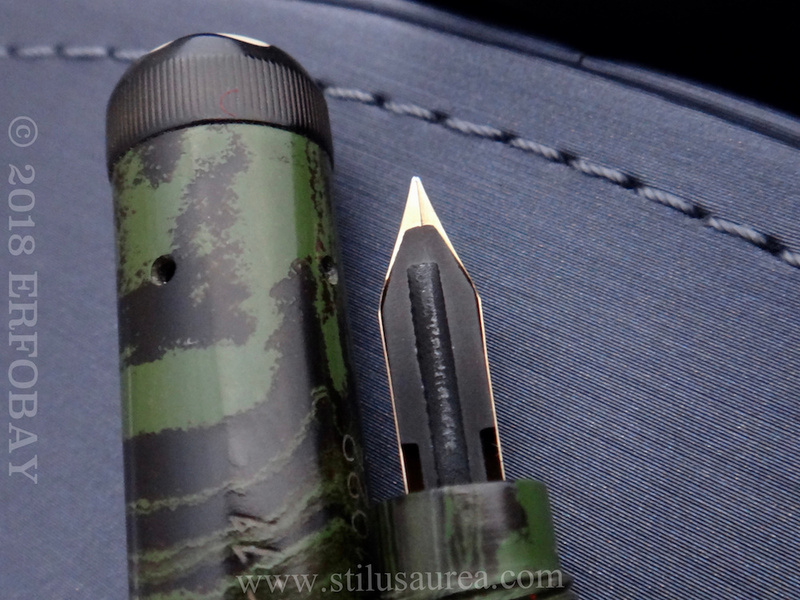 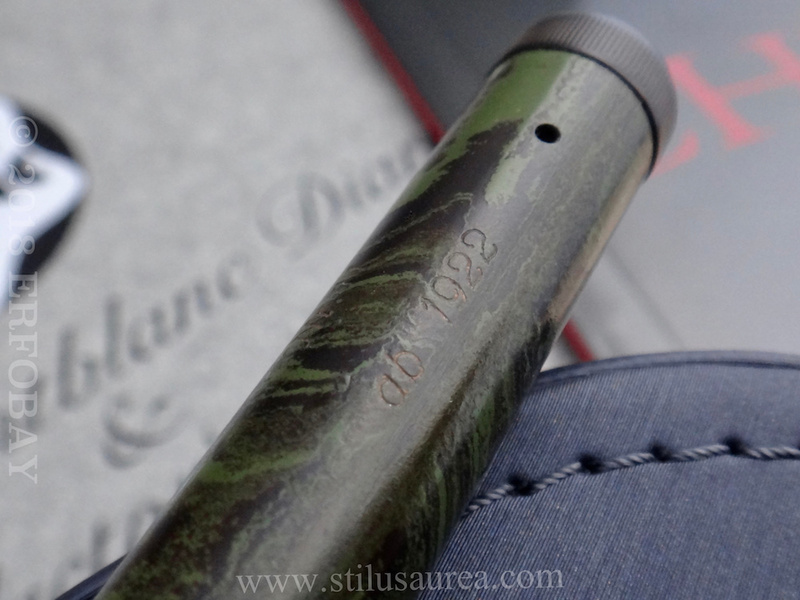 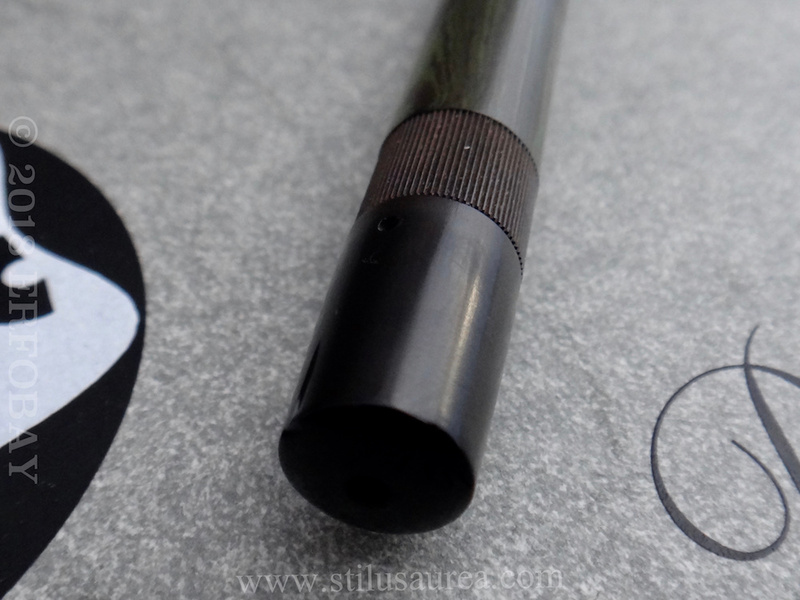 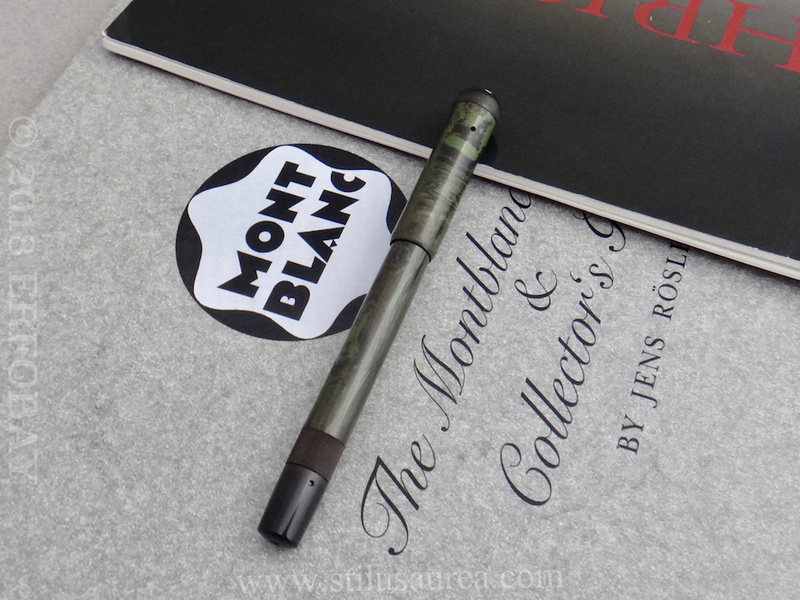 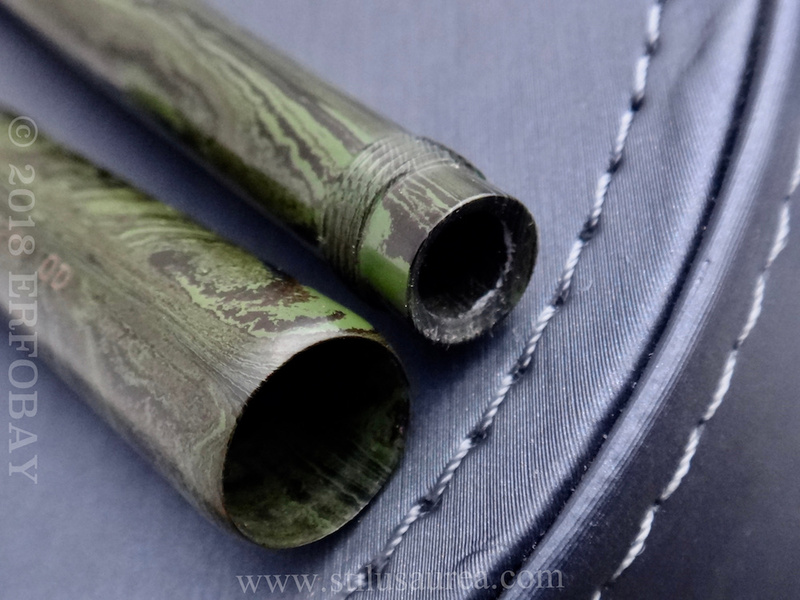 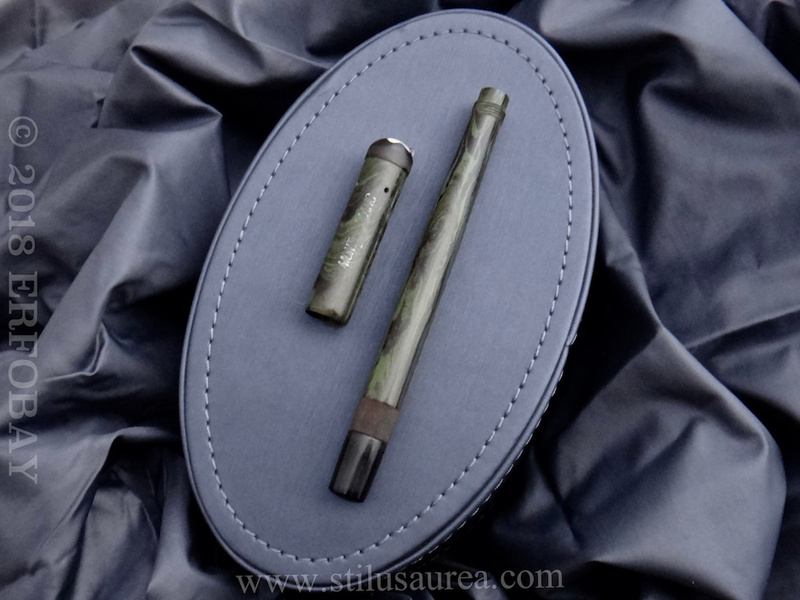 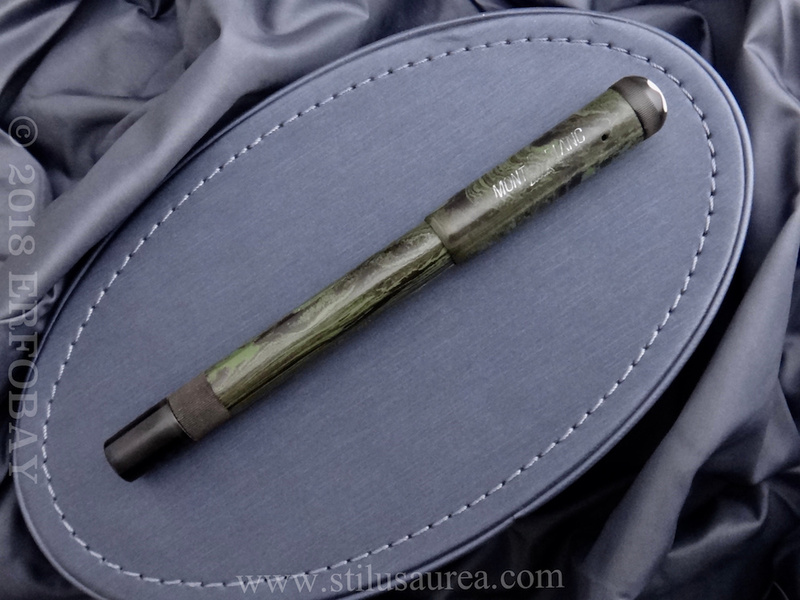 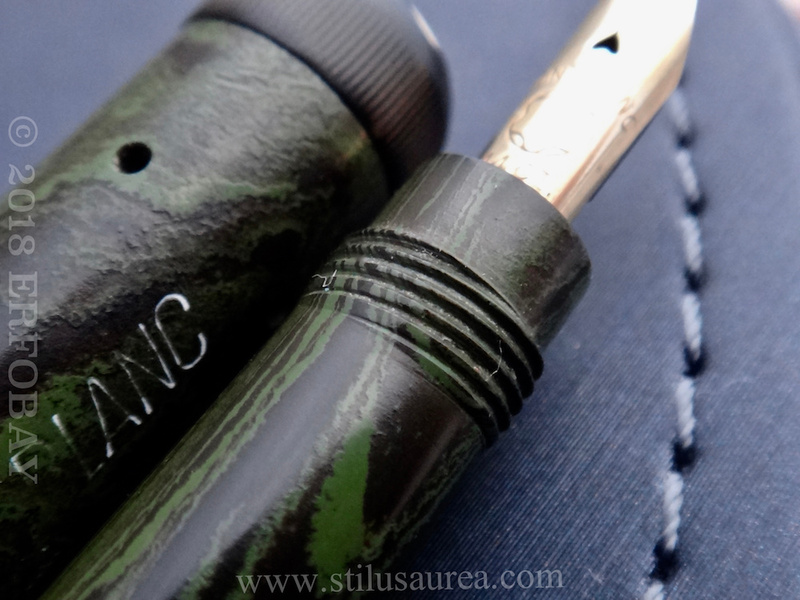 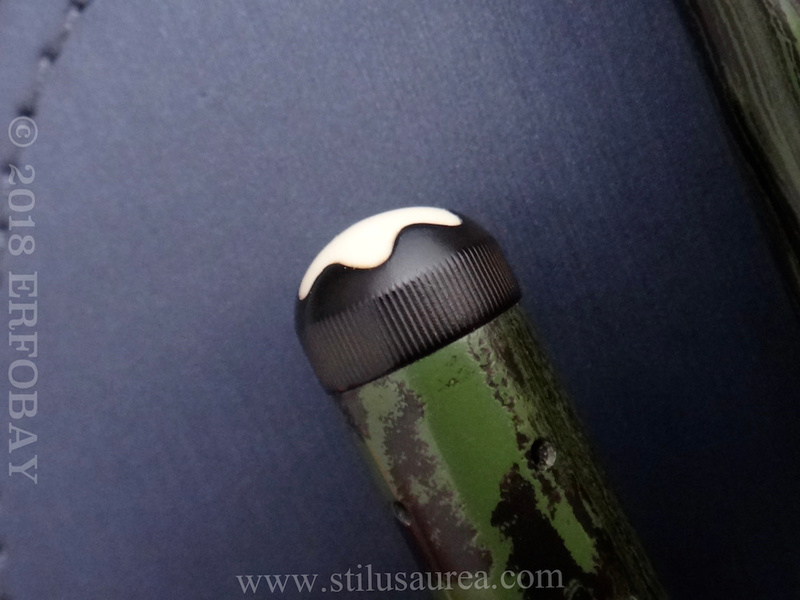 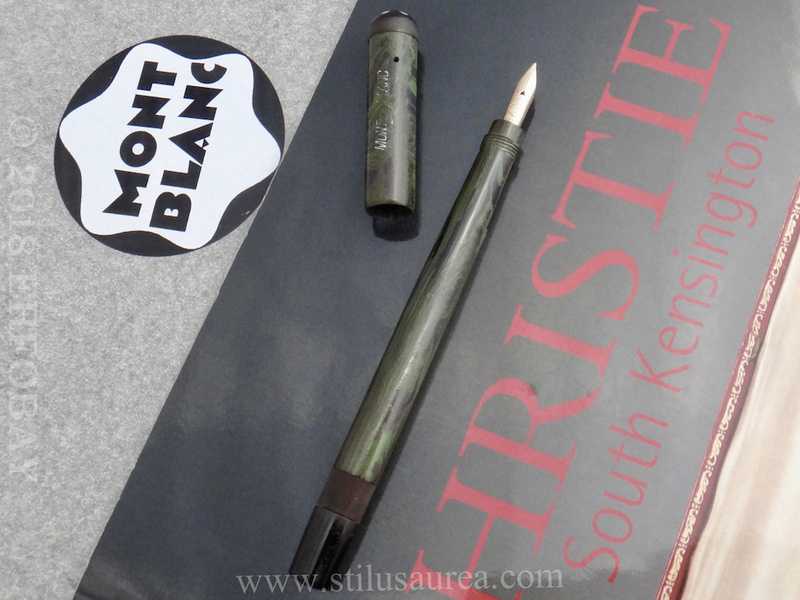 MONTBLANC No 1 PROTOTYPE smooth Green – Marbled Hard Rubber Safety filler fountain pen. 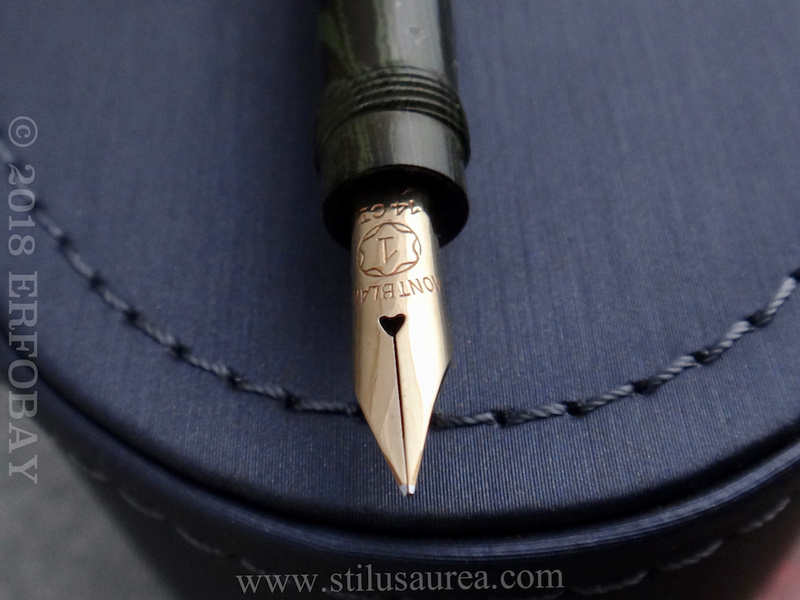 Dated 1922. 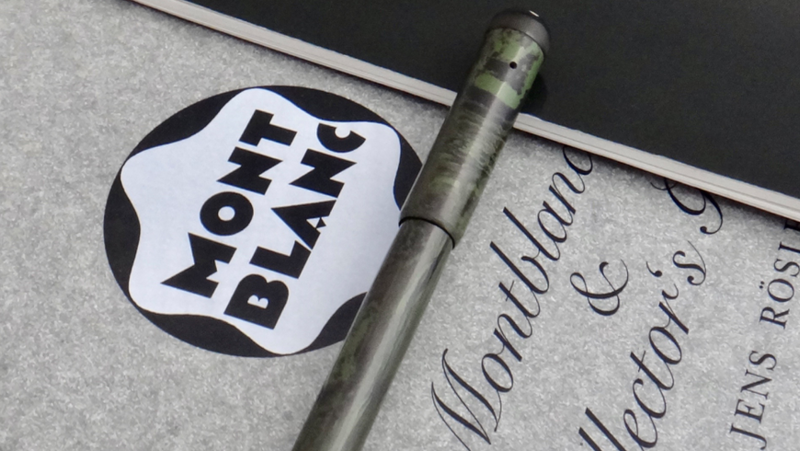 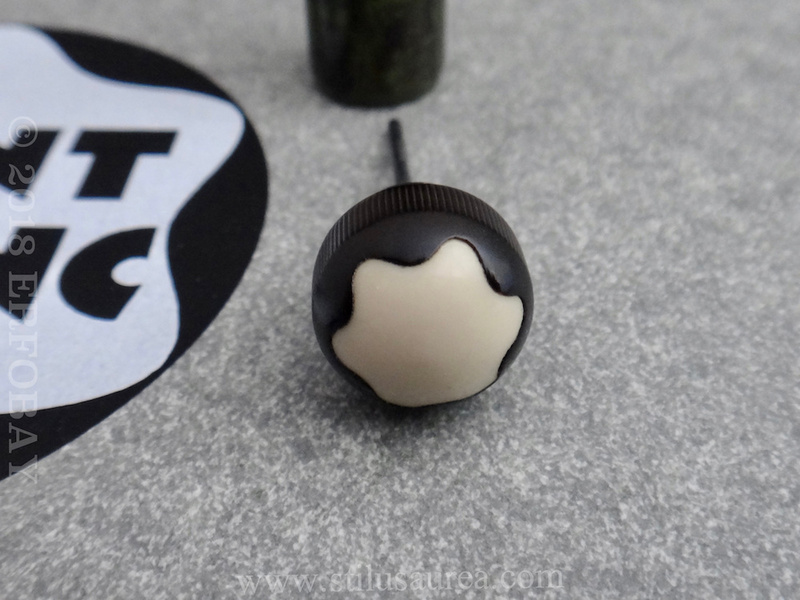 Cap Imprint: Mont Blanc ab 1922 – Nr 11. 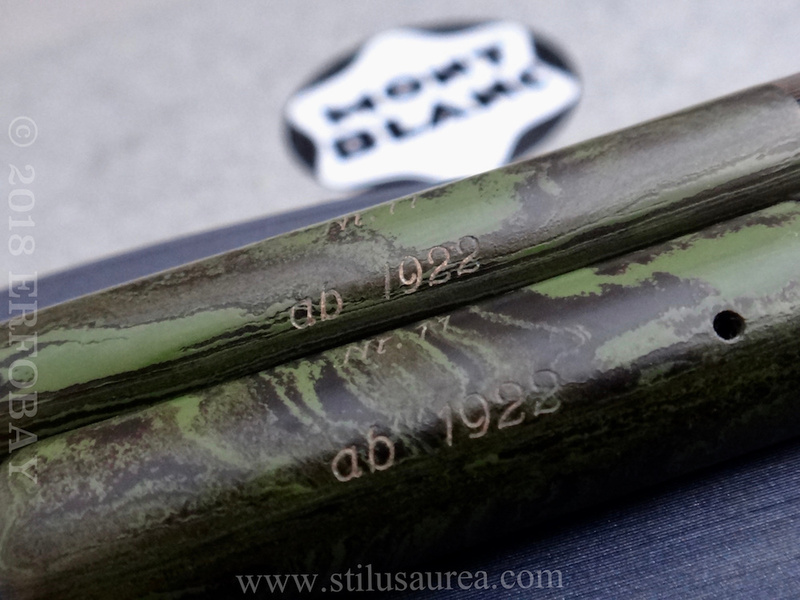 Barrel’s imprint: SIMPLO Original Mont Blanc ab 1922 – Nr 11. 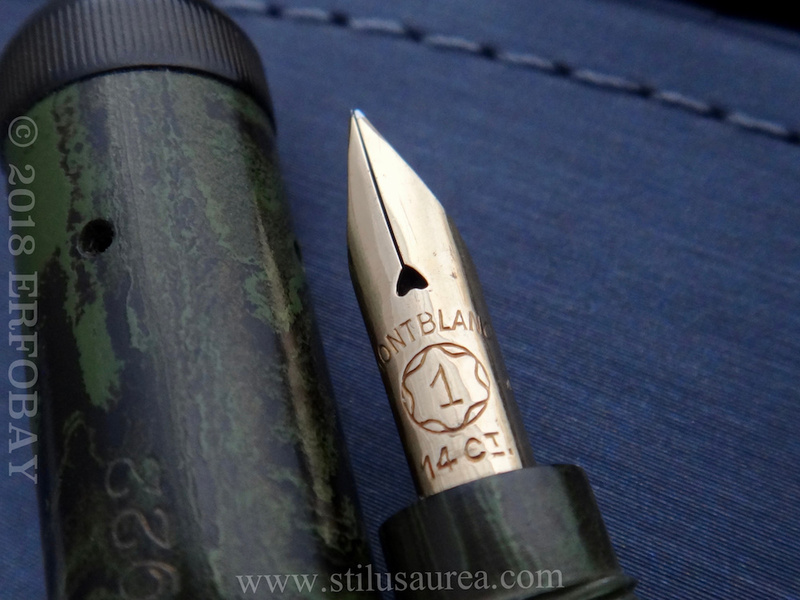 Retractable #1 Montblanc 14 Ct nib. 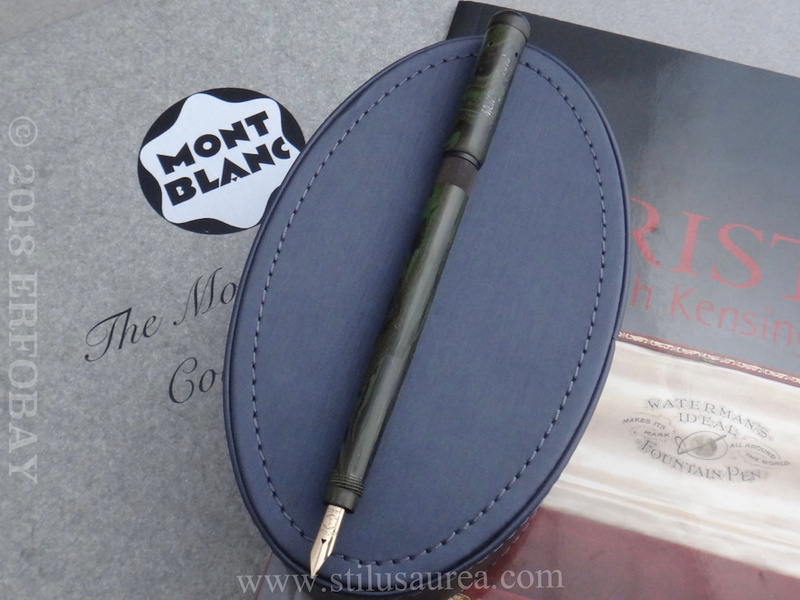 It is probable that this striking pen is a prototype or experimental model as no examples are recorded in Rösler’s book. 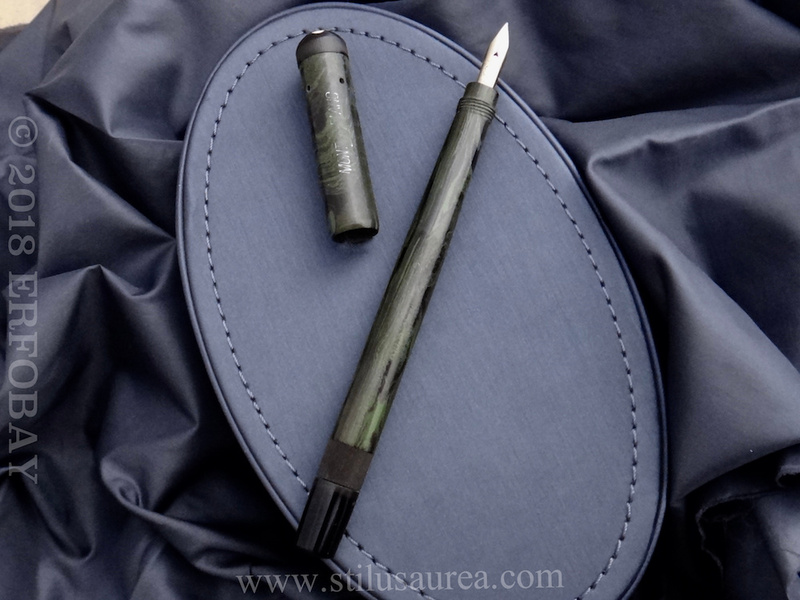 Green hard rubber is a most unusual material for pen production (although Parker and De la Rue are also known to have experimented with it in the opening years of the century) and it is likely that further experimentation ceased with the widespread adoption of celluloid as a source colourful material during the 1920s. 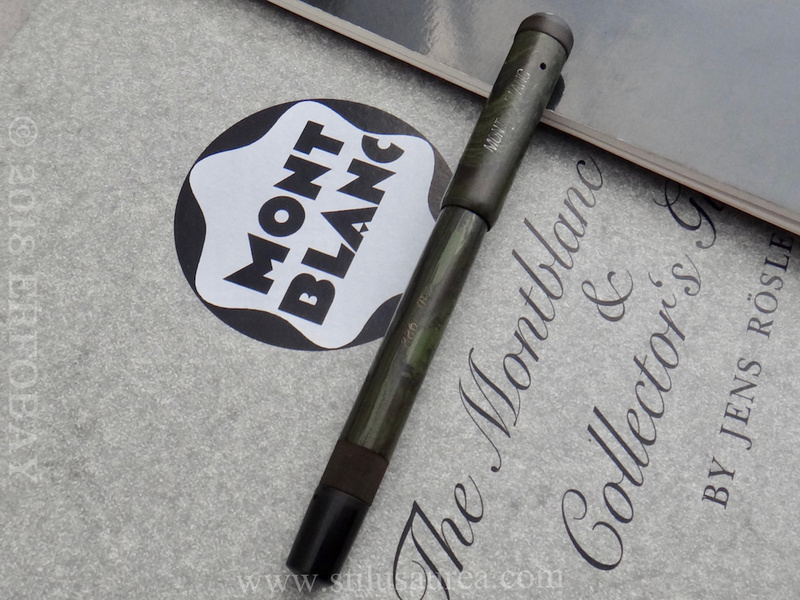 This pen appears to have survived due to it’s historic interest and offers a unique glimpse into Montblanc’s product development during one of the most dynamic and creative periods in the firm’s history. 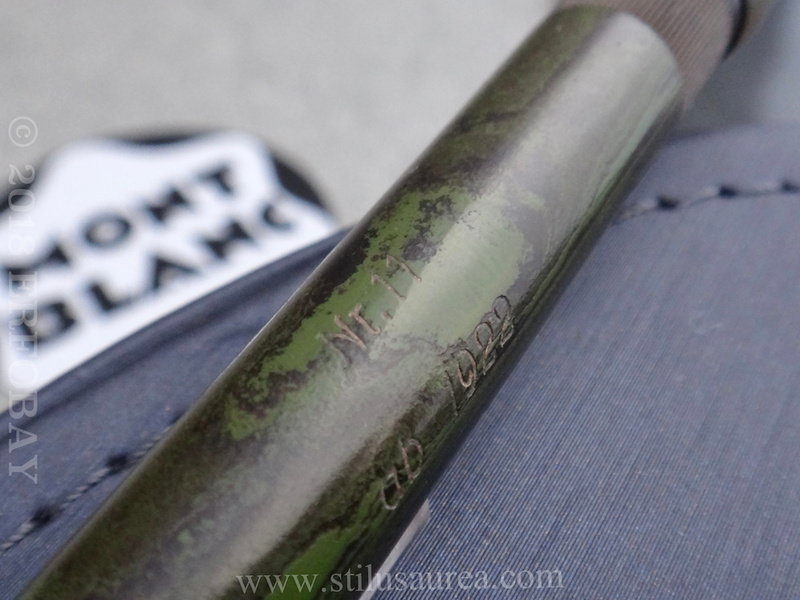 Mint, new-old-stock condition. 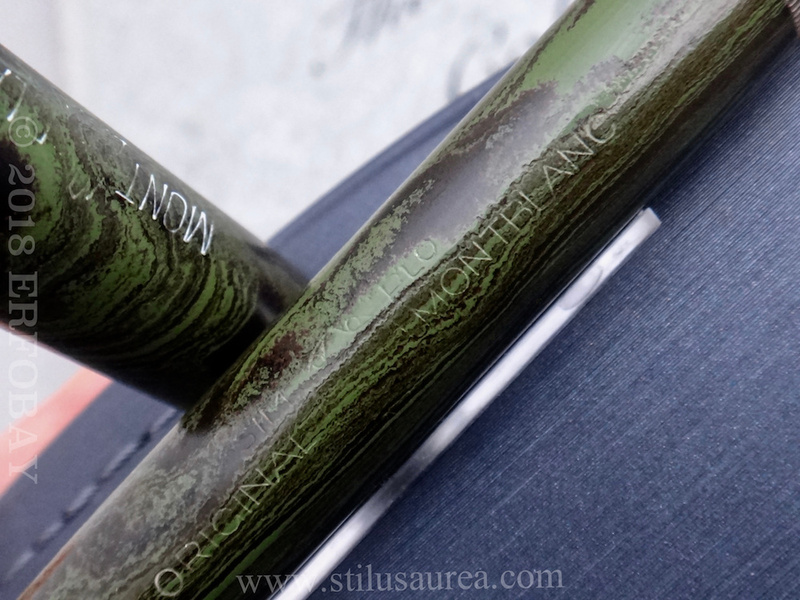 Rare is an understatement. 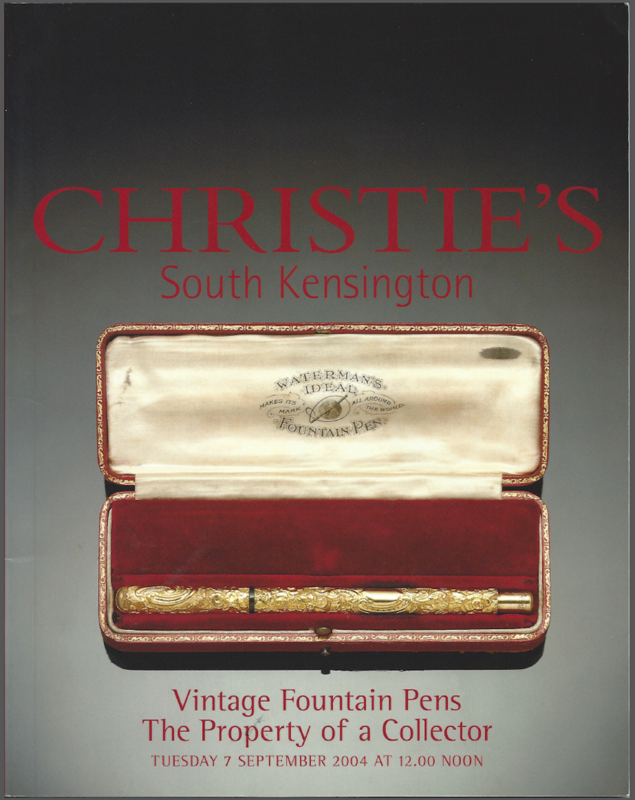 This is a unique opportunity to acquire a fascinating ,extremly rare model with a superb provenance (this pen was sold by Christie’s South Kensington September 7th 2004). 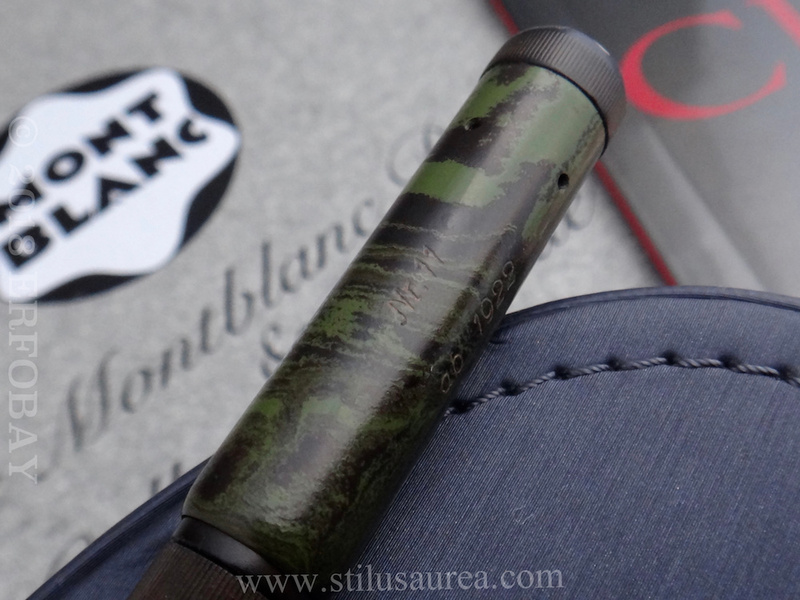 MONTBLANC No 4 F Meisterstück COMPRESSOR fountain pen. 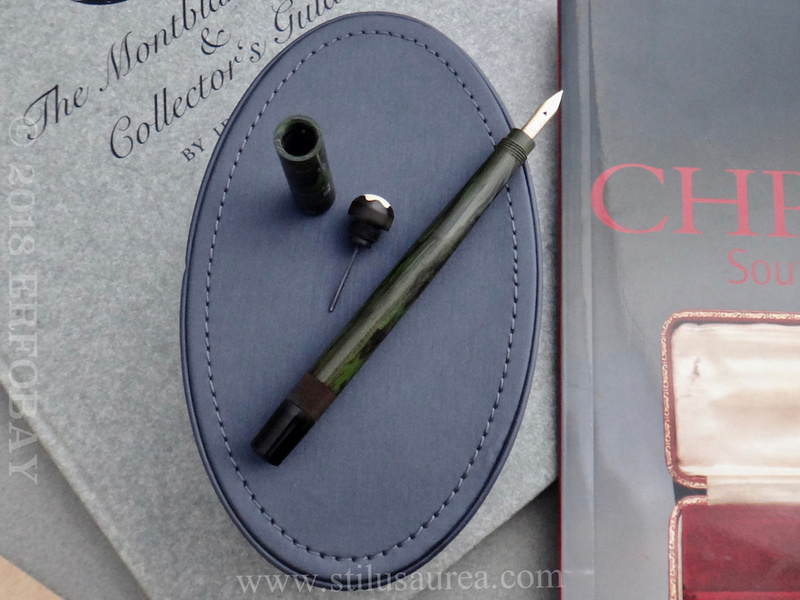 Circa 1924 -1929.